Tinned wire provides better strength and corrosion resistance. Copper has long been known as an effective conductor of electricity. Other metals, such as steel, aluminum and gold are also conductors, but copper is the most widely used because it is the most cost effective and efficient. Copper is, however, subject to oxidation and corrosion, making it less suitable for certain applications, such as overhead power wires and marine uses. Tin is an element that resists water and oxygen so it is not subject to corrosion. 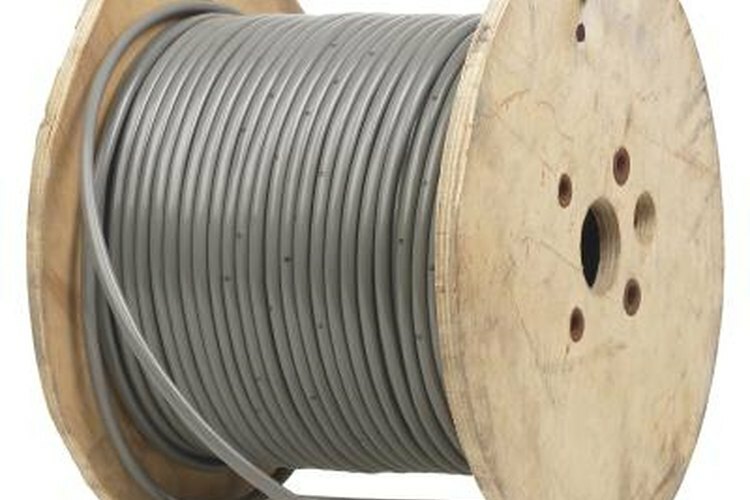 Copper wire is coated with tin in order to keep its conductive characteristics while becoming much more resistant to corrosion by protecting it from the elements. It also provides much more strength and durability to the wire. Tinned copper wire can last up to 10 times longer than untinned wire. There are two ways in which copper wire is tinned. First, the wire is drawn to a specific size. Then it is annealed. Annealing is a heat process wherein a metal is heated to a specific temperature and then allowed to cool slowly. This softens the metal and allows it to be cut and shaped more easily. Finally, an operator either dips the wire into melted tin or it is electroplated, which utilizes a rectifier (a device that converts AC current to DC, causing the electricity to flow in one direction) and electrical charge to bond the tin to the copper electrically. Because of its superior corrosion resistance and greater strength, tinned wire is preferable wherever the wire is exposed to water and other corrosive elements. It is used in overhead wire applications for subways, light and heavy transit, mine trains, buses, industrial cranes and marine projects (it is a favorite of sailors), among others. It is also easier to solder, so it allows for stronger connections. The only disadvantage of tinned wire is that it is somewhat more costly than untinned wire, perhaps as much as 30 percent. However, when you consider the advantages of longer life and the intangible of not having the wire fail just when you need it most, the cost differential becomes insignificant. Richard Friedkin has many years of experience as a Certified Public Accountant, a Certified Financial Planner and a corporate CEO. He has been a writer for more than 30 years, writing everything from dense technical memos to whimsical children's stories. Friedkin's work has been published locally and performed on stage.